Marketing may have gained importance and influence in terms of business focus over recent years, but it hasn’t necessarily helped CMOs rise up the executive ranks. 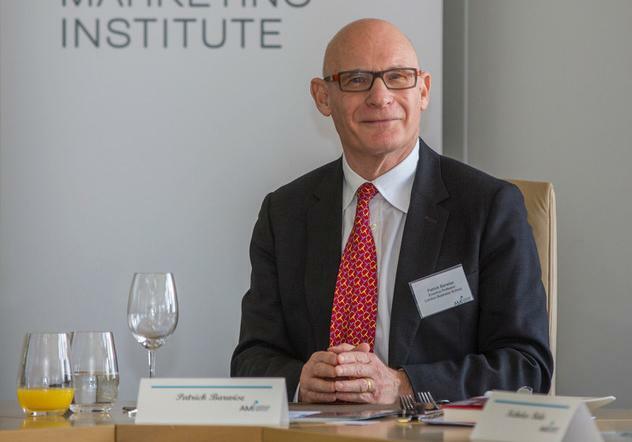 In his latest co-authored book, 12 Powers of a Marketing Leader, London Business School emeritus professor of management and marketing, Patrick Barwise, identifies three key “gaps” contributing to this problem: Trust, power and skills. “Marketing is most about the future, but what do you think when someone tries to tell you what’s going to happen in future? You’re usually sceptical,” Barwise said. In the same way, marketers often lack the power to implement change across the wider organisation to successfully transform customer experience, Barwise said. Then of course, there’s the ongoing challenging of skilling up personally and functionally around digital channels and technologies. But all is not lost, and Barwise’s book identifies 12 key ways marketers can take up the leadership mantle and earn the executive place they deserve. The advice is based on self-assessments of more than 1200 global marketers and 7400 marketing and non-marketing leaders. CMO recently had the opportunity to talk to Barwise about his findings, as well as how he sees the role of marketing leadership playing out. From your research, were there any surprises about what helps CMO gain more influence in the organisation? Personality one was the biggest one. We would have expected personality to make more of a difference, but it doesn’t. I take that to be very positive – you need to be a competent marketer; if you are a competent marketer plus do the kinds of things we’re talking about, which include hard work and how you allocate your time, then even if you’re quite introverted, you have it within yourself to be a successful leader. You talk about the importance of collaboration and getting people to buy in what you’re trying to achieve as a marketer. There’s also a belief that CMOs need to be increasingly internally focused. Do you agree? That’s true, but I avoid the term ‘internal marketing’. To me, that implies marketers have the answer and they have to sell it. What I’m arguing for is a much more mutually respectful, collaborative approach, in which marketers will have an answer, but they may be wrong. And they may be wrong for reasons that are perfectly reasonable. They may have done consumer research that suggests consumers would really value something; but once you spend time with the operations and finance people, you find the incremental cost of doing it, including the knock-on effects of the complexity costs, makes it not worth it. Yes, the [CMO] role is about inspiring people –you have a vision, and you’re trying to drive it through. On the other hand, you should be genuinely listening. What we’re saying is that as a marketing leader, more of your emphasis should be inside the organisation, but outside the function. Are there particular relationships marketers really should be putting an emphasis on? The starting point is finance. Finance is the most powerful function in most companies, and there are reasons for that. That’s what the CEO, chairman and board care about, as do investors, plus it’s the universal language for business. Your different internal decisions are all reduced to a single measuring rod and you’ve got to be good enough on that. You also need to assume finance staff will understand that you’ve gone through an intelligent process, it’s not risk free and you have evidence and reasons for what you’re proposing and carry them with you. Technology is also very important, but I’d say operations is the second most important function to align with. Sales is important as well, and you need a harmonious relationship between sales and marketing, which doesn’t always exist. In general, sales people tend to be more short-term oriented and while they have an enormous amount of customer insight, cunning and so on, it’s really tactical. The strategic insight about the market remains with marketing. Like the artillery and the infantry, close collaboration is what you want. And in services business particularly, HR is key. Making sure you are recruiting frontline staff who, because of who they are, want the customer to have a good experience. Every company has a tech problem – you always have a legacy and tech problem – and there are reasons why technologists have a reputation for being nerdish, and not understanding user and customer needs. Again, mutual respect, collaboration, and discussion around why you think that’s the route you should go down, are all vital. And of course there’s product development and R&D. A lot of this is about priorities, because you can’t do everything. How do you use your customer insights and inspiration to make sure that whatever the other department does, shareholders get maximum bang for their buck? Part of deciding is how it’s going to impact consumers and how they’ll react. What’s your take on the role of the marketer expanding? One trend we’re seeing locally for example, is the rise of chief customer officers, many of which are marketers. There’s something similar going on in market research, where there’s a shift to head of customer insight. The question is, apart from what it says on the office door, how is it different? In the case of customer insight, there are two differences, and both are about breadth. Market researchers tend to think the main source of insight is market research, whereas a head of insight should draw on all the potential sources. The big issue now is how you combine traditional research with analytics and how do we learn from customer complaints, and listening to frontline staff. You’re drawing across the whole waterfront, then saying what picture emerges for decision making, and then you’re much clearer about what this means for other people in the business. A chief customer officer should be the same; it’s a role that’s drawing on all sources of customer understanding. But like a good CMO, they need to be good at saying ‘so what’ and looking at what difference this makes to other functions. You’re marrying two perspectives, one of which is the perspective of your non-marketing colleague, the other is the customer perspective, and you’re not pre-judging the answer. Changing labels in itself achieves nothing but in a funny way it does, because the very fact you’re using the term ‘chief customer officer’ is a way of drawing people’s attention to it. What you don’t want is others then saying they don’t have to know about the customer because there’s a chief customer officer. You’ve made the point that if your CEO really doesn’t understand customer, go find a headhunter. We are seeing a shortening of CMO tenure in Australia and globally. What do you attribute this to? It’s the pressure for short terminism. The biggest marketing effective awards scheme in terms of sophistication is the IPA’s UK program. Since about 2008, the proportion of short-term effective has significantly increased. It’s our job as marketers to use customer insights, inspiration and a long-term vision to try and limit that. There are inherent reasons why marketers tend to be insecure. But if CMOs are seen to be working on things that matter to the business, are demonstrating returns, and have built horizontal networks outside marketing so they understand other perspectives and can help other functions achieve their objectives better, they’re not going to be fired. The evidence on whether CMO influence is increasing or decreasing is mixed. What we now know is it’s a good thing if marketers are influential. I would argue we also know there are deep reasons why marketers aren’t naturally influential. The first of those gap is bound to lead to vulnerability in terms of tenure. Most CMOs today are being pushed to become is orchestrators of change. That requires taking risk. Yet data-driven marketing has risen expectations of immediate return. How can marketers find a balance? A lot of this is about finding balance. Think of the complementarity of different media. Since the Internet got big, the technies have talks about media convergence as if each one doesn’t matter in isolation, and that’s just nonsense. If you take a customer perspective, then the question is what are the needs being met by consuming different media. If you take traditional classified advertising, those needs are better met by the Internet. Permission-based mobile advertising is going to beat a lot of traditional direct mail too. When it comes to TV advertising, its reach, immediacy and the emotional aspect of delivery far outweighs that of digital. The Internet isn’t at the races for that. Digital is now bigger than TV, but it’s combining five different kinds of things, whereas TV does one main thing in a form we’ve grown familiar with over the last 50 years. It comes back to a very generic issue: What are we trying to achieve and what needs are being met, and how do we make sure each of our activities are being done through channels that serve that best. Don’t just fall for digital rhetoric. If you had to pick a couple of key attributes of the modern CMO, what would they be? Leadership. That’s the answer. You need to improve your leadership skills. And we don’t just mean mobilising your subordinates. The good books are also about mobilising yourself. What we have exposed is a huge weakness in the leadership literature, which is that 99.9 per cent of business leaders – everyone below the CEO – needs a three-dimensional view of leadership. As a CMO, you need to do enough to have sensible conversations about digital, but leadership skills, including focusing on the big issues for the company as well as the customer, are vital.